Here we are! The last Sunday of the year.... I must admit there is a part of me going, * Thank God it's over*. 2012 was a funny year for me, I can't say I was productive or even creative, of couse you can't be creative all the time but this year was particularly slow, and I had moments where I was just staring at blank paper for a very longtime, not being able to draw anything at all. Anyway, I think my hibernating period is almost over, there are a few exhibitions coming up next year so I better stop rambling and start working on new ideas! I really love your art - it is truly original, clever and beautiful. Look forward to more in the coming year. 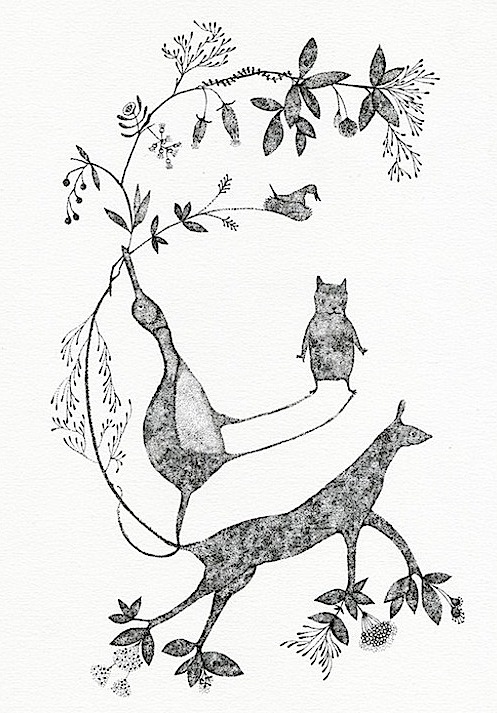 Hello Zoe - Thank you for leaving me a lovely message :) I saw your blog, love your whimsical and delicate creatures...my favourite one is the black fox!